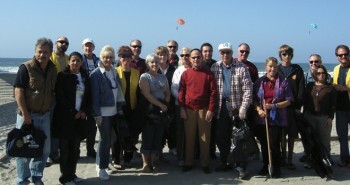 ROSARITO BEACH, BAJA CALIFORNIA, MEXICO—Seven members of a California Rotary club joined with about 20 local Rotarians and Rosarito residents Saturday in an event to demonstrate this tourist area is perfectly safe for visitors. The event organized by Rotarians from Cambria, California was officially a beach maintenance session but Bruce Howard, past president of that club, said its main purpose was to help eliminate inaccurate perceptions that have developed in the U.S.
Drug cartels. Murders. The news is often bad out of Mexico. Peter Ferry journeys beyond the headlines. Poor old Mexico. Talk about kicking a guy when he’s down! Just when the price of oil plummets, American jobs dry up, and the fear of drug violence cuts tourism in half, along comes swine flu to cut it in half again. OK, it’s time for a little good news. 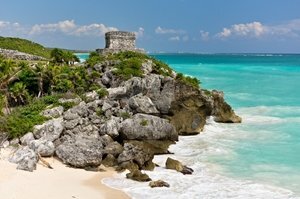 In May, the U.S. Centers for Disease Control lifted its recommendation against travel to Mexico; the swine flu isn’t so bad after all, and it probably didn’t come here from Mexico in the first place. So you finally find your dream beachfront home within one of the best Baja Communities and what’s better, at an amazing price. Here are a few tips that can help you gain the upper-hand when negotiating the price on that special Baja property. 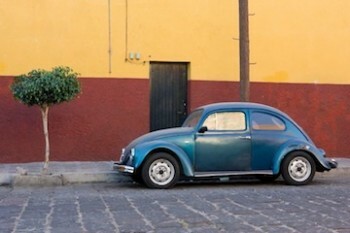 Act swiftly when you come across a good Baja real estate deal. Waiting will only craft more opportunities for contending offers. Once you’ve found what you want, get a market analysis (CMA – comparable market analysis) of properties sold in the last three or six months, your Baja real estate Agent will be more than happy to help you get this information. 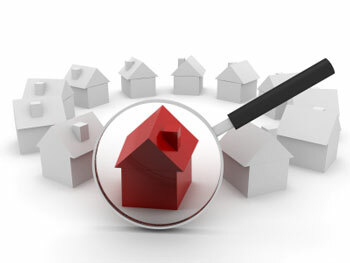 The nearer the comparables are to the existing market the more precise your offer will be. Resolve your financial reach – how high are you prepared to go and be at ease with the payments. Write down your best offer, price and stipulations. Stay away from multiple offer situations by being the first to take the advantage and get it under contract. This isn’t the time to be undecided and play guessing games. See more Baja real estate and Mexico real estate. 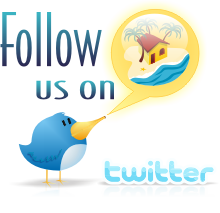 Look here for a trusted Baja Real Estate Agent.